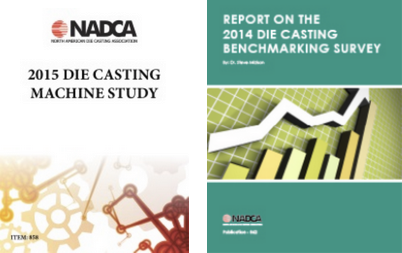 The data in this report has been taken from a number of different NADCA surveys over the years. The latest data for 2014 is from two sources. The first source is from a series of questions asked in The NADCA Benchmarking report which was released in 2013 (Item #862) and the second source of information is from data collected during NADCA’s directory, which was updated in December, 2014. Since 2006, the shift has been from the Midwest to the Southeast. The other regions of the country have remained almost the same in terms of die casting machine distribution. The Midwest went from 47% of the machines in 2006 to38% in 2014. In the same time period, the Southeast grew from 13% of the machines in 2006 to 25% in 2014. The largest reasons for the shift is labor availability and rates. Large automotive companies have come from overseas to settle in the Southeast. Die cast suppliers have followed in order to be closer to the assembly plants. This downloadable report can be purchased by clicking here or search for item #858 in the NADCA Marketplace. Premier Die Casting Company has been in business 65 years and has a very diverse customer base. Premier serves many industries and markets such as the gas meter industry, the telecommunication industry, industrial equipment, outdoor lighting, LED lighting, and the office furniture industry just to name a few. Today Premier is growing to meet the demands of both our customers and the expanding US economy.